Is religion the cause of most wars? 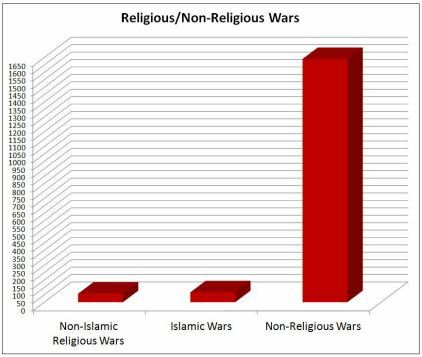 Well, according to Sam Harris and Richard Dawkins, avowed proponents of the New Atheism (nothing new about the substance, just voiced in a new and vitriolic tone), the answer is yes, religion is the cause of most wars. Harris states that religion is, “the most prolific source of violence in our history” (The End of Faith page 27). Not to be outdone, Richard Dawkins offers the claim that, “There’s no doubt that throughout history religious faith has been a major motivator for war and for destruction.” When one hears such ‘truth’ claims being propounded, a simple, but yet, profound question must be asked, “is that true?” Sad to say, most people don’t take the time to ask this simple three word question when hearing such supposed truth claims. 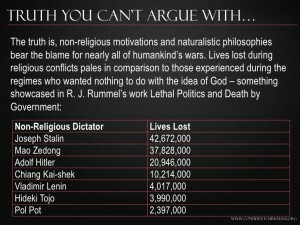  In 5 millennia worth of wars—1,763 total—only 123 (or about 7%) were religious in nature (according to author Vox Day in the book The Irrational Atheist).  If you remove the 66 wars waged in the name of Islam, it cuts the number down to a little more than 3%.  A second scholarly source, The Encyclopedia of War edited by Gordon Martel, confirms this data, concluding that only 6% of the wars listed in its pages can be labelled religious wars. 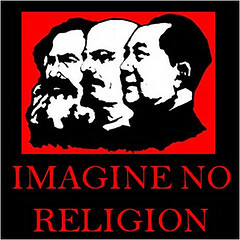  William Cavanaugh’s book, The Myth of Religious Violence, exposes the “wars of religion” claim.  a recent report (2014) from the Institute for Economics and Peace further debunks this myth.  A strong case can be made that atheism, not religion, and certainly not Christianity, is responsible for a far greater degree of bloodshed. 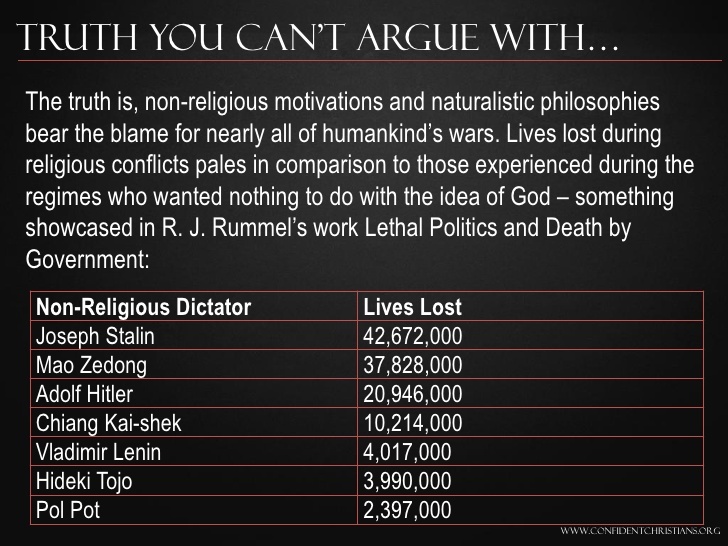 Indeed, R.J. Rummel’s work in Lethal Politics and Death by Government has the secular body count at more than 100 million…in the 20th century alone. New Atheist proponents often condemns and points the finger at religion for the suffering of the earth, and in particular, as being the cause of most of the wars and suffering that results. Ravi Zacharias deals with this alleged truth claim head on in the following video clip.